publisher of fine poetry in handmade, self assembled chapbooks. Lemme put this straight; I am a big fan of Tom Kryss and have been for many years. 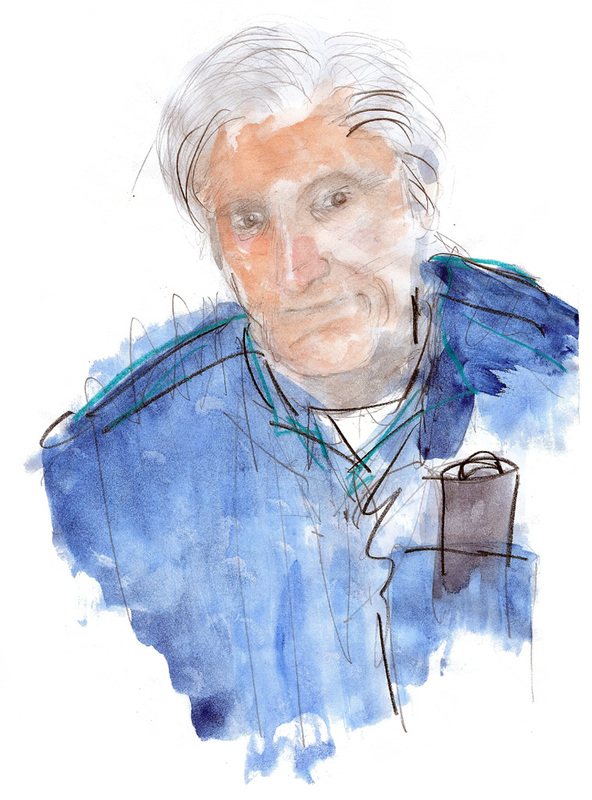 His new title, Sketch Book, is no different than any other title by Tom Kryss, for here is a poet who is truly insightful and filters his pages with meaning. From the very first page, where he quotes Ohio poet Kenneth Patchen, to the very last line, you cannot put this little book down. Although at times I have found myself wondering why the poet did this and why he took this sentence in this or that direction, I kept on returning to the fact that here is a master, whether he is composing sonnets or prose poems. Sketch Book is being released in a limited edition of 50 signed copies and 100 regular copies. If you have a chance to order this book, I will urge you to do so as soon as possible. It was the fine poet and writer John Bennett who many years ago, on his Vagabond website, introduced us to Tom Kryss. Since then he’s been a favorite artist, illustrator and poet. Please study Kryss’s long list of books, chaps, broadsides and art, look at the bottom of this page. There is something about Tom Kryss’s tone and voice that makes him very special. Have you seen his art? Have you seen his The Book of Rabbits – one of the most beautiful children’s books you’ve ever seen? Tom Kryss is a true outsider and he was part of the Cleveland poetry scene in the Sixties around d.a. levy; the Cleveland scene back then had more outsiders per square meter than any other poetry scene in America. Sketch Book is his new book from Kamini Press, number 5 in our Poetry Series. 40 pages of prose poems. Cover art by Tom Kryss. All 150 books signed by the author in Ravenna (this American town with the beautiful Italian name). Twenty-five of the books come with a hand-tinted and signed print by Tom Kryss. Author portrait painting by Henry Denander. 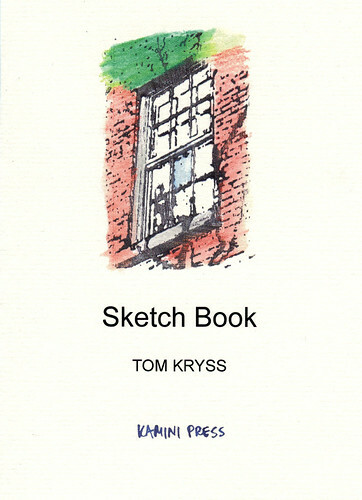 [quickshop:Tom Kryss – Sketch Book – Signed – Kamini Press:price:10:shipping:0:shipping2:0:end]10 USD Signed book including postage all over the world. [quickshop:Tom Kryss – Sketch Book – Signed plus Artwork – Kamini Press:price:25:shipping:0:shipping2:0:end]25 USD Signed book with artwork including postage all over the world. use the PayPal button above or send cash in a brown envelope to Kamini Press, Ringvägen 8, 4th floor, SE-117 26 Stockholm, Sweden. In Sweden pay SEK 60,-/150,- (including postage) to Bankgiro 5889-0781, or get the book from Bokmagasinet, in Stockholm. 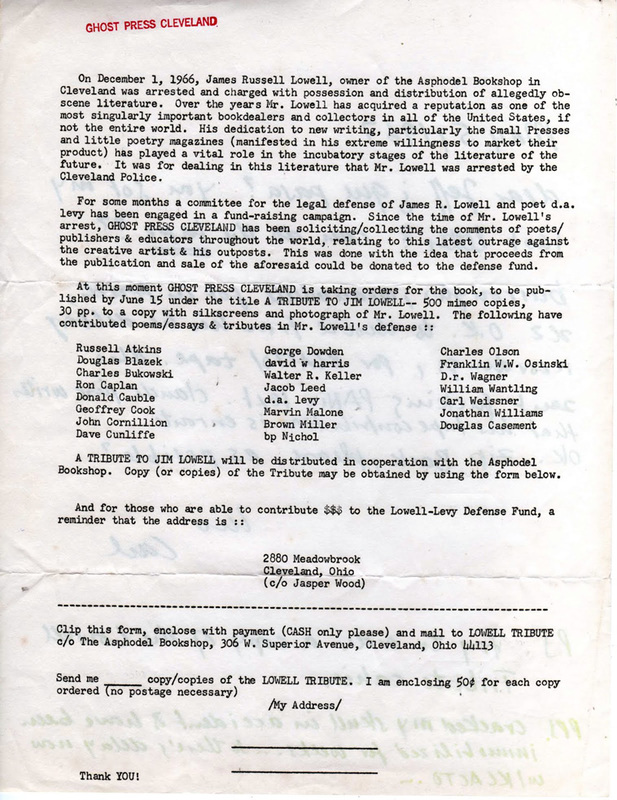 poet Tom Kryss wrote this letter in 1967, in support of da levy and Jim Lowell; who were under indictment by local authorities in Cleveland for the selling and dissemination of alleged obscene poetry. A collection of testimonials in behalf of Lowell, gathering anti-censorship discourse from American authors such as Charles Olson, Hubert Selby Jr., Charles Bukowski, Denise Levertov, James Laughlin, Lawrence Ferlinghetti, and others, was published, with proceeds ploughed into Lowell’s defense fund. A part of small press history, indeed. Check out the Mimeo Mimeo blog. hello,just get your wonderful present (Locklin) for the new year – thanks a lot – very very marvelous. who work like you – wonderful!! !